We understand that “Quality Is Key”. Our attention to detail defines our company and our ability to make your lake accessibility functional and safe. As specialists in the outdoor elevator market, you can put your trust in us that we will deliver a product that you can enjoy for many years to come and feel secure knowing you are investing in an elite and reliable lift for you and your family. 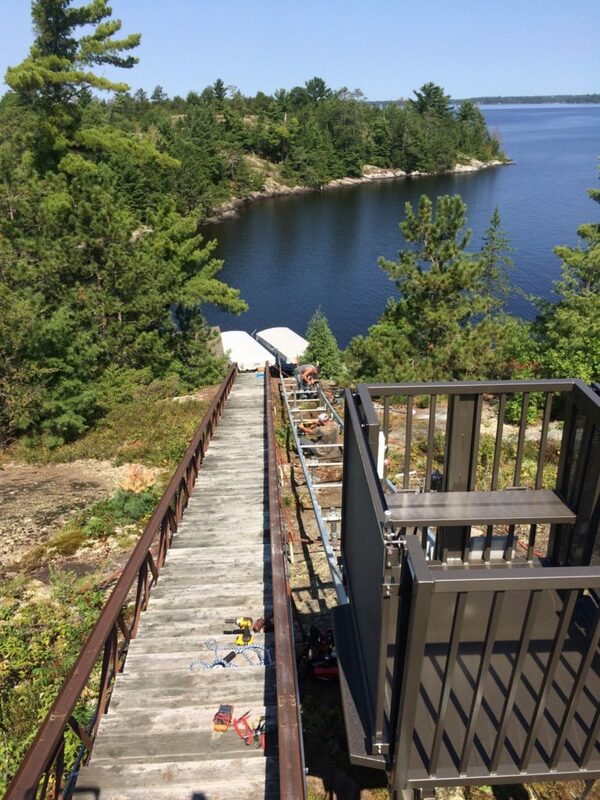 When you install a Hillside Lift on your property, you will not only enhance the value of your home but also bring your outdoor lakeshore living to a whole new level. Let Hillside Lifts make your outdoor dreams a reality! Hillside Lifts is owned and operated by Shane and Becky Hoefs, a husband and wife team. Shane started out as an electrician by trade. After working as an electrician in Moorhead, MN, he then found Marine Innovations, Inc. in Frazee, MN in 2002, who is currently our tram manufacturer. Shane started as their service technician and quickly moved into sales along with installations all across the country. Becky graduated with Bachelors degree in Business Management. After graduating college, she worked in banking in Fargo, ND for 4 years. In 2007, she also found her way to Marine Innovations where she carried out marketing duties. In 2009, Shane and Becky worked with Marine Innovations to revamp their business model. Since then, Marine Innovations main focus has been to specialize in manufacturing as well as creating a dealer network across the United States. Shane and Becky started Hillside Lifts in June of 2009 as a dealer for Marine Innovations in the incline elevator industry. Our business includes, sales, service and installation primarily in Minnesota, Wisconsin and Illinois. In 2015, Hillside Lifts became a licensed elevator contractor. We currently employ 2 full-time service technicians and an installation crew. Shane focuses on sales and Becky manages the office and marketing. In 2016, Hillside Lifts added to it's product line by becoming a dealer for Bruno, which specializes is indoor and outdoor stairlifts and platform lifts. Even though we could never have imagined working together in an industry like this, we have become a great team and absolutely love what we do!